Allow me to introduce you to Nolan. 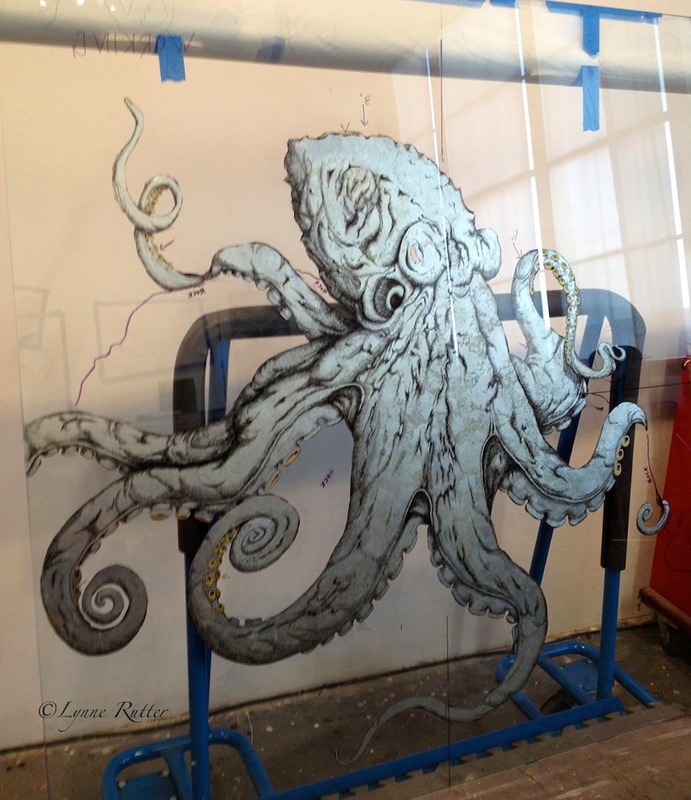 Commissioned for a home in Hawaii, Nolan is a very large octopus, gilt, etched, and painted on the reverse of a 5 foot high slab of glass using a set of techniques known as verre églomisé. 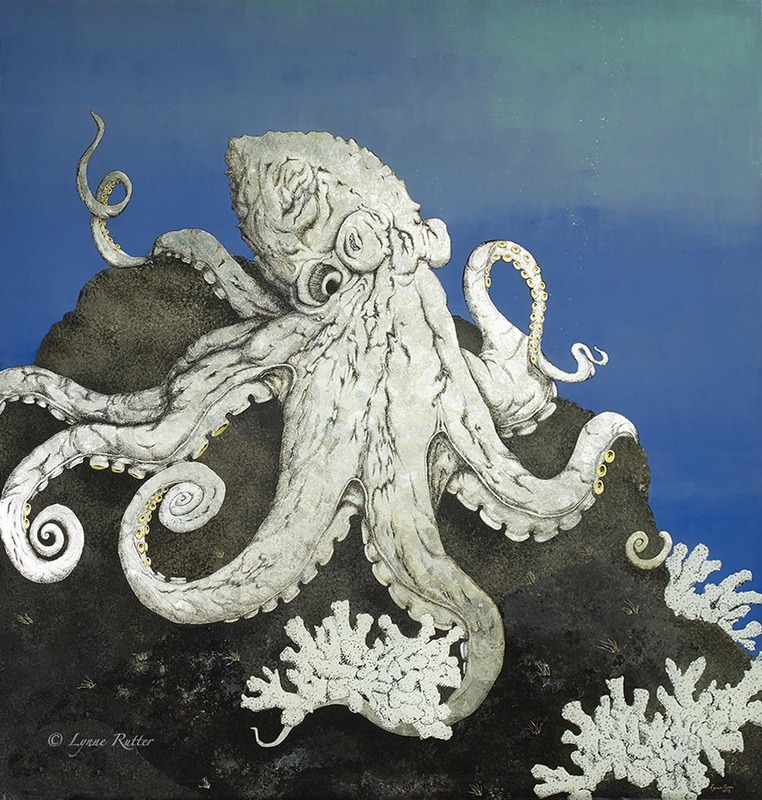 The body of the octopus is gilt with aluminum leaf arranged in a random broken pattern to create the texture of the cephalopod's skin. The thickness of this metal allowed me to etch the details through it using a cross-hatching pattern very much like etching a printing plate. The suckers of the tentacles are gilt with 22 karat gold. During the process I asked our client if she'd like to give this noble creature a name, and she immediately wrote back that his name is Nolan: "Nolan came blazing through the ether like a shot…I was completely powerless to do anything else. I believe he's just been waiting for his opportunity to let us know who he is…what else could I do?" The surface of the octopus reflects the color of whatever is near it, much like the way the octopus camouflages itself in the water. 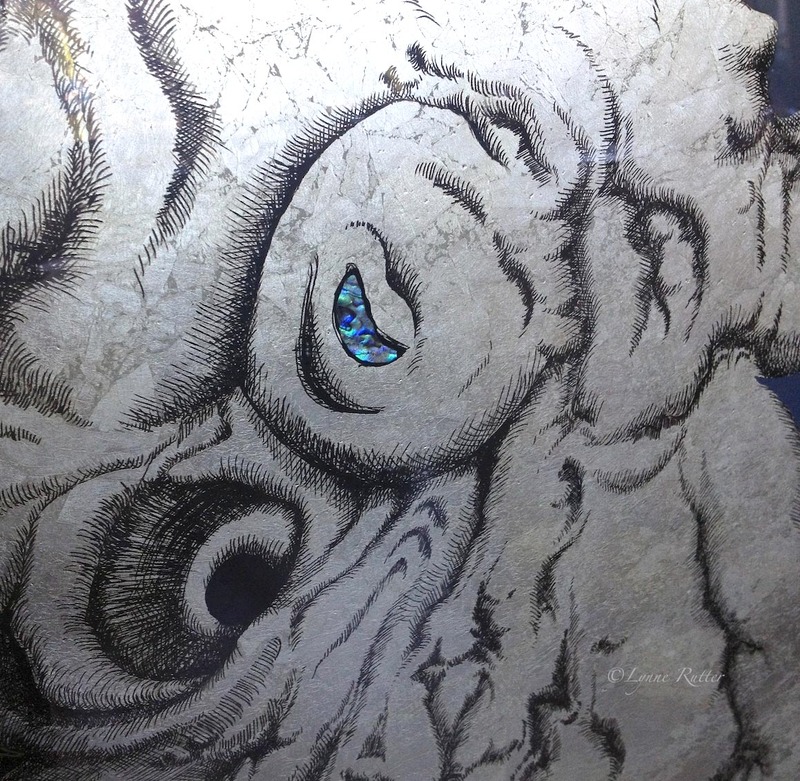 A final touch, the eye is a piece of abalone shell from New Zealand. Nolan was packed into a very large crate last week and is now en route to a beautiful house on Oahu. We dearly miss him in the studio and wish him well in his new home. Wow, amazing. It's truly mind blowing that all that work is done back to front!!!! Nolan! So glad I got to meet him before he left for Oahu. The photos do not capture the watery feel and depth to the blues. Lovely work as always Lynne. yes photos are tough on a reflective surface. I had to call for professional help. Photographer David Papas and I had to pitch a black fabric tent in the studio and light the glass from the sides to get this image. 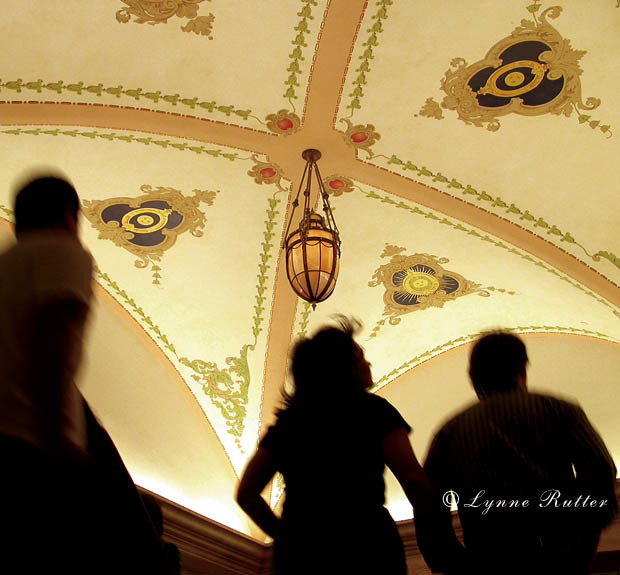 A gorgeous image, Lynne, and an equally elegant concept. (I really like the gold leaf for the tentacle suckers.) I etched — sandblasted — designs on glass for years, but never attempted the reverse painting or gilding. Interesting to see your heavy-duty professional stand. I leaned a piece of glass against my studio wall for an extended time (more than a year) and it became bowed and unusable, a lesson learned . . .
oh wow Mark, hard to imaging glass bending like that but it is a liquid after all! This piece is 3/8" thick (more with the paint) and weighs over 180 lbs, so I bought a drywall cart to help in maneuvering it. I was also able to work on the cart sitting upright, and wheel the piece around to see the results. It turned out to be a great tool. I should try to be more demure, but the only proper response is as follows: HOLY CRAP! THAT'S FREAKING AWESOME. Thank you for sharing, Lynne, it's really inspiring. Jules Verne comes to mind. Do you paint the back of the aluminum leaf after etching it or is the etching actually done in black? (Sorry if I sound ignorant, I've never etched, I just imagine it's like drawing with a stylus on a hard and non porous surface). Hi Marie- yes the etching is done through the metal leaf with a stylus, then back-painted. I regret that I never had the opportunity to see this in person, Lynne, because it is fantastic. Kudos to you. For some reason I have been thinking a lot over the last 9 months about sea creatures and plants, so this is inspiring. I would like to do a series of sea life, on glass. (Although I think I will take down the scale a notch!) And about Mark's glass -- OMG!! I knew that the glass of window panes in old buildings in Europe is often much thicker at the bottom than at the top because of the glass "drooping" down over time, but I thought that took centuries to happen. I never dreamed that a piece of glass could bend in my studio in a year. Wow Lynn that is incredible!! I can only imagine how much more amazing it looks in person. What kind of paint did you use the blues with and the background... It looks seamless, but most impressed with the cross hatching skills. 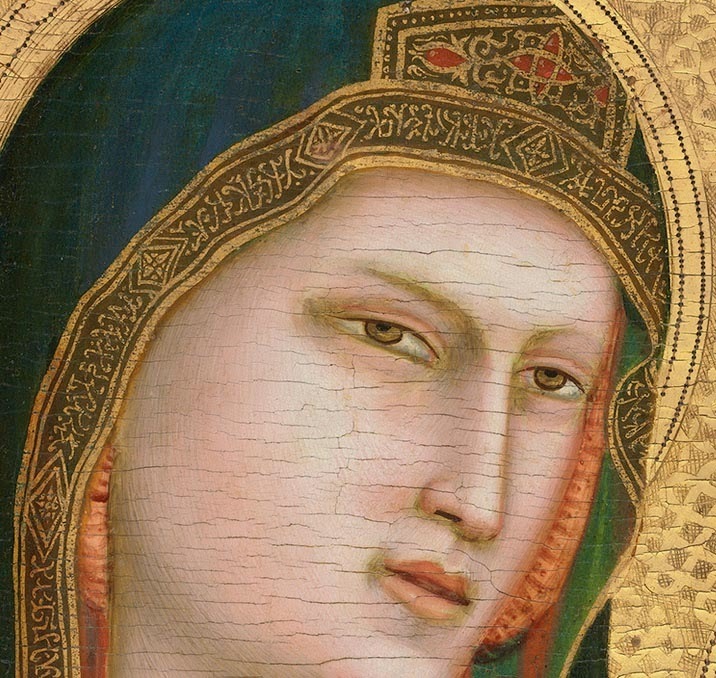 I am so excite I'm taking an eglomise class In may! That is so cool Lynne! I wish I could have seen it in person, but I'd love to have you show me more photos sometime. Oh man am I ever so thrilled I was able to see this in person as it is incredibly beautiful in the photo but it completely pales in comparison to real life. No offense to the picture, I can only imagine the labor that went into obtaining such a beautiful photo but the movement of the creatures skin, the glint of the gold and those amazing tiny "air" bubbles in the water were just stunning to see! Love Nolan!! !I can see how you could become attached to him. He's very lovable and so perfect he'll reside in Hawaii. Thank you Miriam! and thanks for all the advise and help when I was starting this project! What a brilliant piece of work Lynne! I love it and hope to see it one day. Lynne what a stunning accomplishment! Nolan is a magnificent creature you have brought to life!